Is Christine Chubbuck Lesbian ? The late American television news reporter Christine Chubbuck worked for WTOG and WXLT-TV in Florida. For her appreciated work, she was nominated for a Forestry and Conservation Recognition Award by the Bradenton district office of the Florida Division of Forestry. She had graduated from Boston University with a degree in broadcasting. Chubbuck is known by everyone for committing suicide on the live Television show on July 15, 1974. She was suffering from depression which led her to take this huge step of ending her life. Christine Chubbuck was born to parents Margaretha D. Peg and George Fairbanks Chubbuck on August 24, 1944, in Hudson, Ohio, United States. She grew up with her two brothers Greg Chubbuck and Tim Chubbuck. As for her schooling, she attended the Laurel School for Girls in Shaker Heights. Then she enrolled at the Miami University in Oxford, Ohio for a year from where she majored in theater arts. 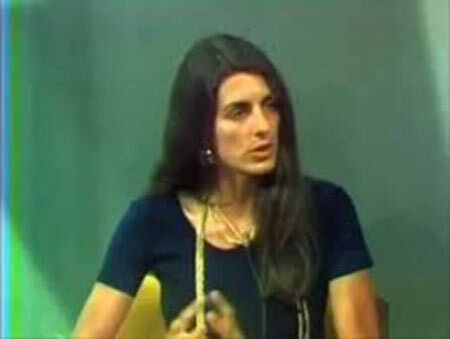 Chubbuck joined Boston University and gained a degree in broadcasting in 1965. She wanted to pursue a career as a reporter and started working towards it. Christine Chubbuck was professionally a Television news reporter who worked with various channels. She began her career as a news reporter for WVIZ where she worked for a year from 1966 to 1967. The following year she went to work as a hospital computer operator for four years and with a cable television firm for two years. Chubbuck then was hired to work as a reporter for WXLT-TV by its owner Bob Nelson but ended up giving her a community affairs talk show named Suncoast Digest. The show featured local people and local activities discussing problems of alcoholics, drug users & other segment related to the community. Taking her job seriously she started giving light on the growing beach community by discussing matters with local officials in the show. For her appreciated work, she was nominated for a Forestry and Conservation Recognition Award by the Bradenton district office of the Florida Division of Forestry. Christine Chubbuck death is one of the shocking things ever to happen as she committed suicide on live television. It was on the morning of July 15, 1974, when Suncoast Digest was about to go live on TV at the scheduled time and Christine arrived there with a script in her hands. She was about to read a newscast while opening the show which was strange since it never had happened before but they agreed with her. The show started and she began to read out three national news stories and a local news story and suddenly looked into the camera to convey her final words. In keeping with Channel 40's policy of bringing you the latest in blood and guts and in a living color you are going to see another first attempted suicide. After she said those words she pulled out a 38 caliber Smith & Wesson revolver from her bag and shot herself behind her right ear on live Television. The telecast was watched by thousands of viewers in America who saw her commit suicide and the whole world was in shock. Then she was immediately taken to Sarasota Memorial Hospital where she was treated but even after 14 hrs of the continuous effort to save her she died. The reason for her death was depression as she had also tried to end her life in 1970 through a drug overdose. She was depressed since she couldn't connect with people and felt lonely so she even had started consulting a psychiatrist. Chubbuck was feeling self-deprecating and self-critical since she wanted to get married but wasn't. In 2016, a movie related to her life was made which was named Christine and her character was played by actress Rebecca Hall. The late reporter Christine Chubbuck's estimated net worth was around $1 million. She had worked for popular channels like WVIZ, WXLT-TV, and WTOG from where she had earned her income. Christine Chubbuck was never married and didn't have any children either. She had always been keeping her personal life away from the media and didn't reveal much. However, she is said to have dated two men in her life and one of her boyfriends had passed away in a car accident. Chubbuck had difficulty connecting with people and the fact that she wasn't married even at the age of 29 haunted her often.